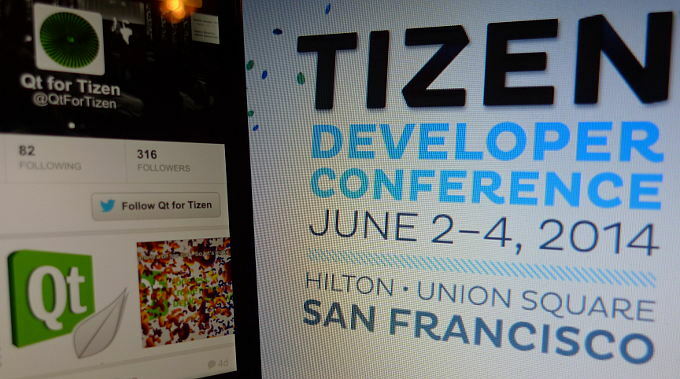 In case you're close to San Francisco next week, don't miss the Tizen Developer Conference 2014 because Qt is covered there rather extensively! 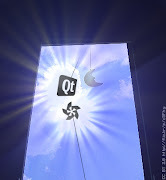 On Tuesday, June 3 at 2:15 pm, top contributor of the Qt for Tizen project Tomasz Olszak will introduce people (these that are for some reason not yet accustomed with it) cuteness of Qt and its Tizen port. His presentation is called Qt and Tizen together can do more. Everyone will have opportunity to talk to Tomasz in person during the three conference days. Other Qt for Tizen contributor, Leon Anavi will popularize porting Tizen to open-source hardware devices for beginners. Leon is known for his ports of Tizen to various devices where Qt apps worked just fine from early days. His presentation is scheduled on the same day at 11:30 am. Just after Leon's talk you would also definitely want to meet another great Qt for Tizen contributor Philippe Coval (RzR) from Eurogiciel who will talk on about cooperating with upstream projects and packaging tips and tricks (Tuesday, 12:15pm). If that's not enough, you can meet Thiago Macieira, Software Architect from Intel who is not only maintainer of Qt Core and Qt D-Bus modules of but is also responsible for the Tizen 3.0 open governance. See the entire schedule of the conference. Have a lot of fun and productive time! We're excited to announce... yes you read this everywhere. But hey, we are sharing this news with true enthusiasm! Qt for Tizen source code is now officially a part of Tizen's dedicated repositories. This means the Tizen project now combines both standard improvements from Qt as well as Tizen-specific integration from the five prior Alpha releases of Qt for Tizen. Every change in the code can now be reviewed using Tizen.org services. Fresh Alpha 5 update brings improvements of Qt Quick Controls, aligns to newer Tizen 2.2.1 and standard Qt 5.2 RC 1 released week ago. 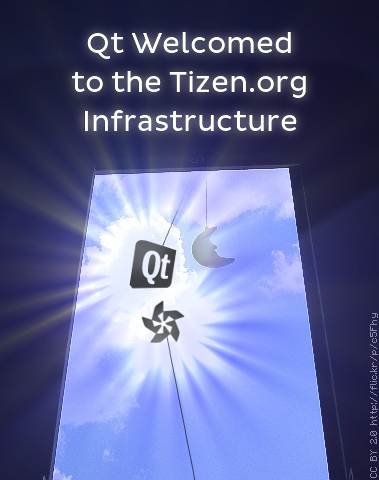 Read on to discover what new and enhanced features of Qt for Tizen are available for mobile and IVI users. OpenFest is the biggest annual Bulgarian conference dedicated to open-source technologies. This edition of the event took place at Interpred Business Center Sofia on 2nd and 3rd November. OpenFest is a free event and couple thousand people visited it. As usual the schedule was busy and talks on variety of open-source topics were simultaneously held at three different halls. This year discussions about Tizen and Firefox OS made a debut on the stage of OpenFest. Another attraction was the open-source hardware hackathon organized by Olimex where a hundred lucky enthusiasts were able to get free OLIMEXINO-85 kits and to solder Arduino on their own.